Divertor vertical target qualification prototype manufactured by the European Domestic Agency. 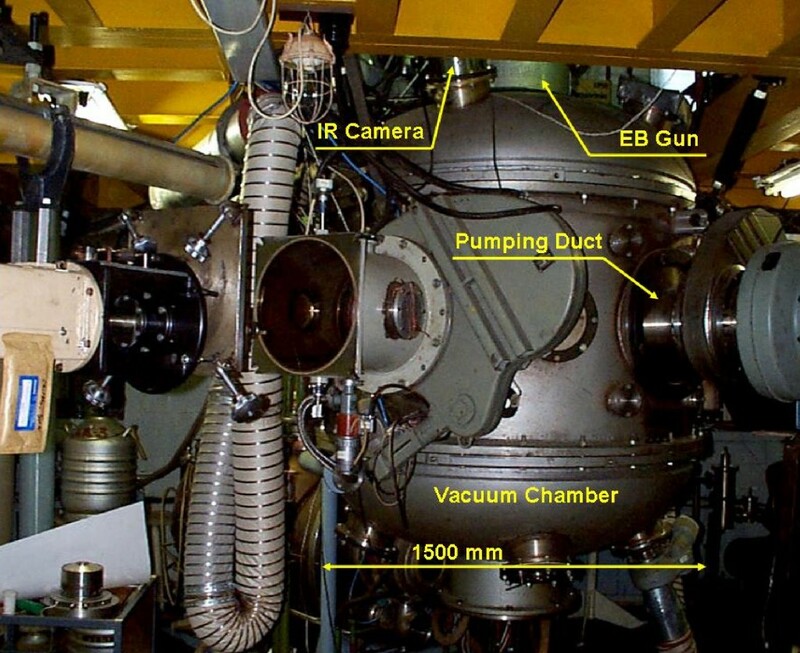 The ITER divertor is located at the base of the vacuum chamber and its main function is to extract most of the helium from the plasma, while minimizing the impurity influx to the plasma. 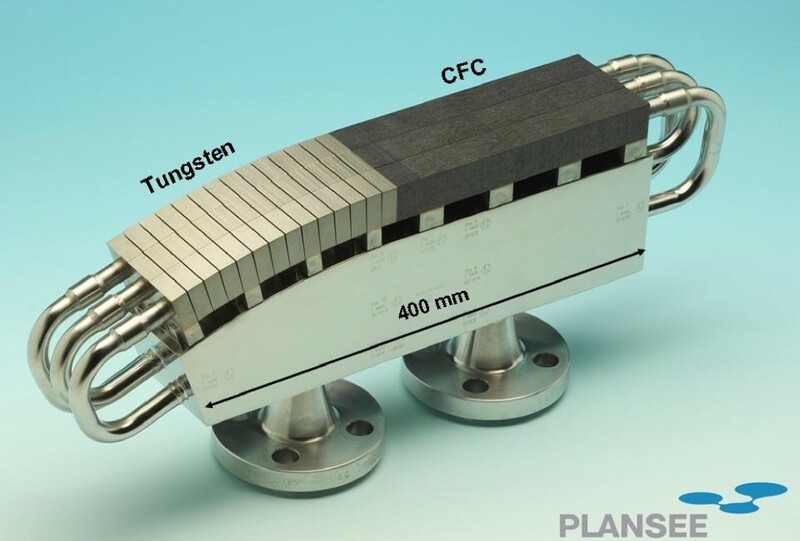 As the main interface component between the plasma and material surfaces under normal operation, it has to tolerate the highest heat loads of all the plasma-facing components. The divertor design needs to provide an engineering solution compatible with today's plasma physics expectations but, given the uncertainties in extrapolating the future progress in plasma physics (and thus in component durability), the design also needs to provide the highest flexibility in terms of possible modifications of the plasma-facing component configuration and ways for rapid replacement and refurbishment. The divertor consists of 54 cassettes (six per vacuum vessel sector) that are inserted radially through three lower level ports and moved toroidally before being locked into position. 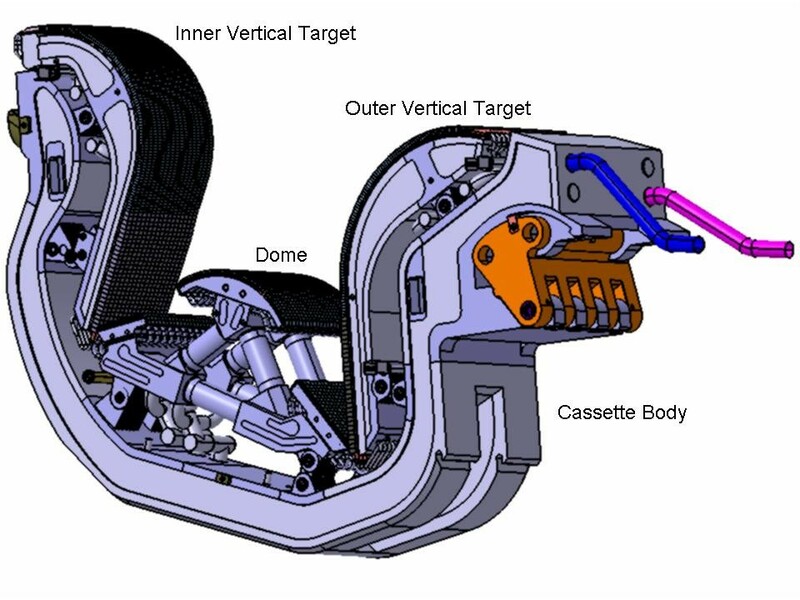 The cassette body is reusable and designed to provide neutron shielding for the vessel and to provide a mechanical support for the plasma-facing components and a variety of diagnostics. The divertor plasma-facing components, together with the toroidal field magnet conductors and the blanket modules, require a qualification by each party prior to the start of the procurement. This means that each party allocated one of these critical procurement packages must first "qualify" by demonstrating its technical capability to carry out the procurement with the required quality, and in an efficient and timely manner. This is achieved via the successful manufacturing and testing of medium-size qualification prototypes. After manufacturing is completed, the divertor qualification prototypes, which include all the most technically challenging features of the corresponding ITER divertor design, will be subject to performance tests in the TSEFEY-M electron beam facility at the Efremov Institute, Saint Petersburg, Russia, to assess their heat flux load carrying capability. The European, Russian and Japanese Domestic Agencies are involved in this qualification program, which was first presented to them by the ITER Organization at the ITER Divertor Meeting held in Genova, Italy on 26-28 October 2005. Extensive technical and administrative negotiations followed, which culminated with the approval of the Memorandum of Understanding on the Procurement of the ITER Divertor in July 2006. This document, together with the ITER Divertor Procurement Plan which was agreed at technical level and explicitly recalled in the Memorandum of Understanding, paved the way for the preparation of the detailed technical specification as well as the acceptance criteria of the qualification prototypes. This preparatory work was then formalized in Qualification Task Agreements, which were signed by the ITER Organization and the Domestic Agencies concerned during the first half of 2007. Each Domestic Agency has to deliver at least two qualification prototypes by mid-2008. The protocol for the performance tests was formalized in a High Heat Flux Testing Task Agreement between ITER Organization and the Russian Domestic Agency on 14 June 2007. More recently, in June 2008, a customs agreement on the temporary admission of the qualification prototypes into Russia was signed to ensure a smooth import and export of the components from Europe and Japan. The performance tests are due to be completed by the end of 2008, thus allowing the finalization of the three Procurement Arrangements on the divertor plasma-facing components by February 2009, a date which has remained unchanged since it was first proposed to the Domestic Agencies in mid-2005.